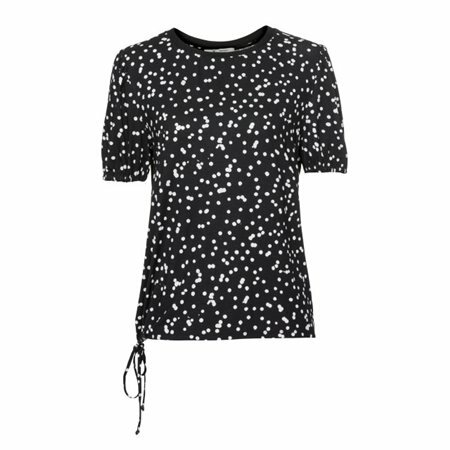 Created by Monari this cute little spotty top combines black and white perfectly into a trendy top with a chic casual feel. The top has a crew neckline with short sleeves and a drawstring waistline. Wear it with a pair of jeans and a signature piece of knitwear.